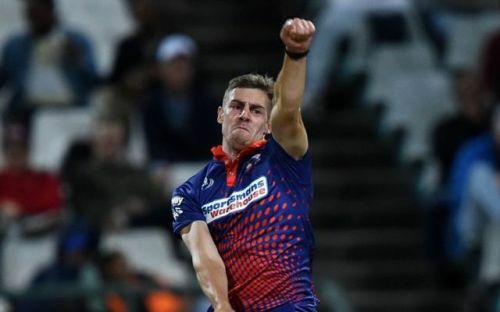 Kolkata Knight Riders' new recruit Anrich Nortje has been ruled out of the 2019 IPL due to the shoulder injury he sustained while representing the Proteas in the ODI series against Sri Lanka. The 25-year-old pacer who is capable of constantly clocking the magical 150-kph mark was all set for his first ever IPL stint after being bought by the Shah Rukh Khan co-owned Kolkata franchise for INR 20 lakhs at the 2019 IPL auction held at Jaipur on December 18 last year. Nortje played three matches for the Cape Town Blitz (took eight wickets) in the inaugural Mzansi Super League in 2018 but missed a part of the tournament due to an ankle injury. With young Kamlesh Nagarkoti and Shivam Mavi already ruled out of the 2019 IPL, Nortje's injury is a major blow for KKR's pace department. While Sandeep Warrier replaced Kamlesh Nagarkoti, Karnataka mystery spinner KC Cariappa was roped in for Mavi. Dinesh Karthik's men will begin their 2019 IPL campaign against the Sunrisers Hyderabad at home on March 24th. They need to, however, find a replacement for the fiery Nortje to strengthen their beleaguered pace attack. Let us now look at three players who might replace the injured Anrich Nortje at Kolkata Knight Riders for this edition of the IPL. Note: With a lack of overseas talent available in the INR 20 lakhs bracket, KKR might have to look for an Indian player to replace Nortje. 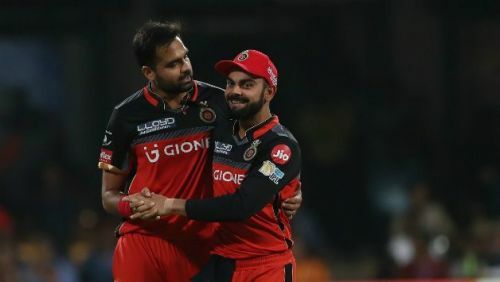 The left-arm medium pacer from Rajasthan represented the Royal Challengers Bangalore in the last two editions of the IPL before which he was with the Kings XI Punjab during the 2013 IPL. In the five IPL matches he has played so far, Aniket has taken five wickets at an economy of 8.55. The 29-year-old took 49 wickets in nine matches for Rajasthan during the 2018-19 Ranji Trophy season. Given his domestic and IPL experience, he can bolster the KKR pace attack. In 44 T20 matches, has 54 wickets to his name. At a base price of INR 20 lakhs, Aniket is one of the best options for KKR to replace the injured Nortje.